Our suites are found in three of the hotel’s four buildings, and not two suites look the same. Some are in two stories, decorated in a knights’ style, where others are more modern and chic. They all have their individual details, where some come with a hot tub while others have tubs or showers. Common to them all is that they are all charming and comfortable. 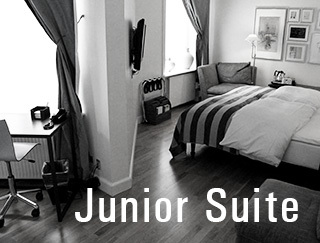 Junior Suites: Approx. 28-34 sqm – 1 king size bed (180 cm wide) or 2 single beds (2 x 90 cm). 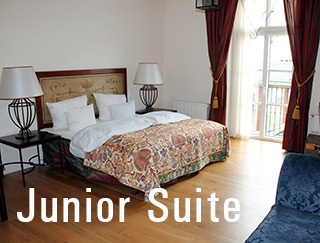 Suites: Approx. 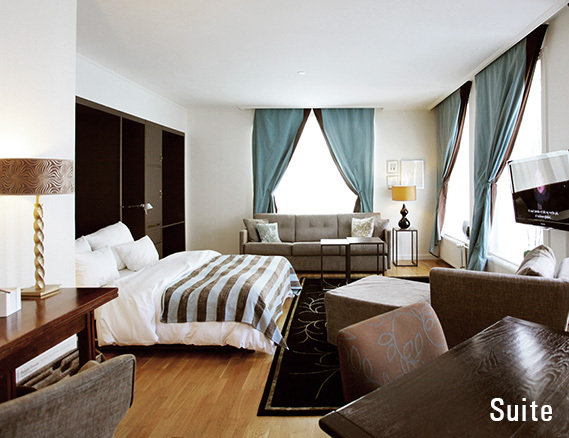 35-40 sqm – 1 king size bed (180 cm wide) or 2 queen size beds (140 cm wide).